Sitter: James Hamilton, 2nd Duke of Abercorn (1838-1913). 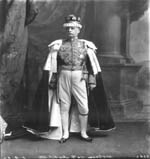 Biog: Irish Landowner; 1st President Ulster Unionist Association; President of the British South Africa Company; Lord of the Bedchamber & Groom of the Stole to King Edward VII as Prince of Wales; served as High Constable of Ireland at the Coronations of King Edward VII and King George V.
Orders, Decorations & Medals: Insignia of the Order of the Garter [K.G., cr. 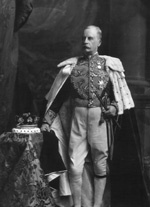 10 August 1892]; Star of a Knight Grand Cross of the Order of Dannebrog (Denmark) [G.C.E.D. cr. 10 March 1888]; Badge of a Companion of the Order of the Bath, (Civil Division), [C.B. cr. 15 June 1885]; Queen Victoria Jubilee Medal 1887 with 1897 bar. Evidence of studio at work: Baton drawn in or extensively retouched. References: Biog: Dictionary of National Biography; Burke's Peerage; The Complete Peerage, Alan Sutton, 1987; Who's Who; The Times, 4 January 1913, p 9; (See also Brian A. Masters, The Dukes, London, 1980). Occasion: The Times, 9 August 1902, p 8a & 11 August 1902, p 6e; J.E.C. Bodley, The Coronation of Edward the Seventh: A Chapter of European and Imperial History, London, 1903, pp 295, 347 & 356. Orders, Decorations & Medals: (K.G. & C.B.) Burke's Peerage. (Order of Dannebrog) Marquis de Ruvigny ed., The Nobilities of Europe, London, 1909; (Jubilee medal) Howard N. Cole, Coronation and Royal Commemorative Medals 1887-1977, London, 1977. 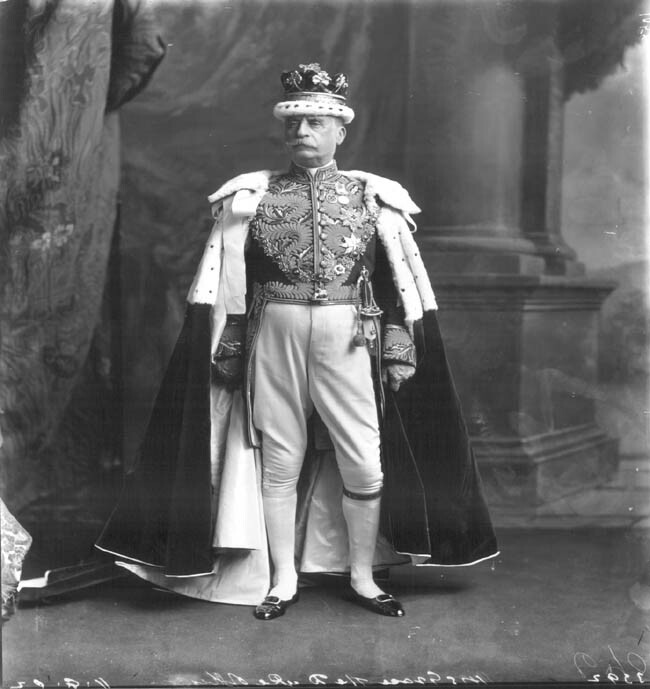 Reproduced: The Throne and Country, 14 June 1911, p. 41. Acknowledgements: (Orders etc) David Bownes.